“You have worked hard to get your amateur radio licence, and have progressed through to being an Intermediate Licence holder. 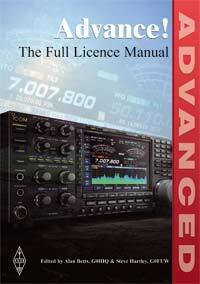 Maybe you are ready now to take on the UK’s ultimate amateur radio qualification: the Advanced (see below) Radio Communications exam leading to the issuing of a Full Licence. The Advanced exam consists of 65 multiple choice questions (4 answers) and lasts for 120 minutes. There is no practical assessment.